I like to think that despite my now 10 years of running ultramarathons, that I still go into every endeavor with some level of humility and respect for the course I'm about to run. Even that weekend half-marathon is still a race, and still presents challenges. 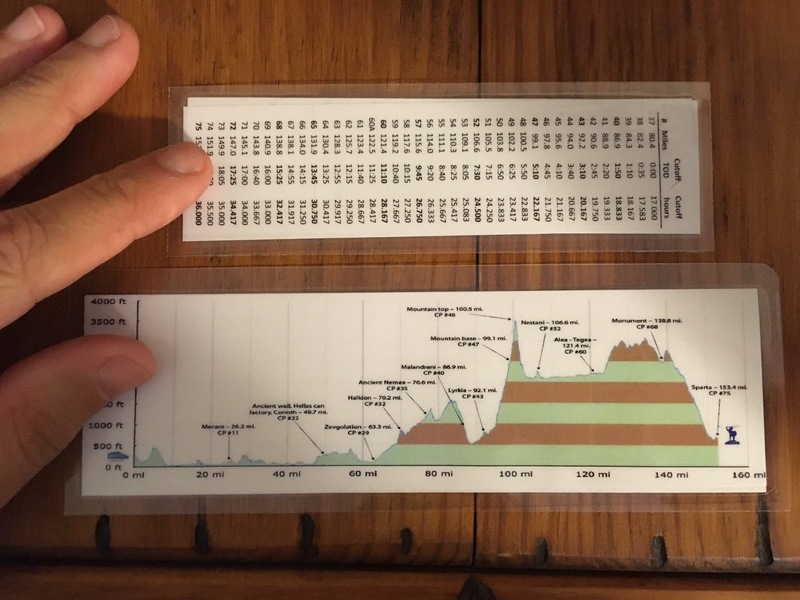 I've been quite fortunate in those 10 years to experience quite a wide range of runs spanning all the way from long road races like Badwater and Vol State, to insane mountain trail races like Barkley and Hardrock. In all cases, I never assume anything, and always know that I will face any number of ups and downs while out there. Generally though, over these years, I would say that I have at least gained a modicum of confidence. Usually when I set my foot on that start line...whatever line it may be, that I at least feel good about my "odds". Spartathlon genuinely has me nervous. This one is really tough and plays to what I would consider my biggest weakness when it comes to running: Speed. When it comes to difficult courses, or technical courses, or courses that require me to really "dig deep" or "gut it out" or "push through the pain" (insert cliche' here)....I feel like I at least have an honest chance. But if a race requires strict time cut-offs, and the runner to run somewhat fast, that is when my confidence plummets. I think back to my journey to qualify for the Boston Marathon, and how difficult that was. I trained hard, and still failed at my first honest attempt at qualifying at the 2016 Revel Rockies Marathon. It took me an entire year, and more focused training to actually have success and qualify...and it took everything I had to do it. 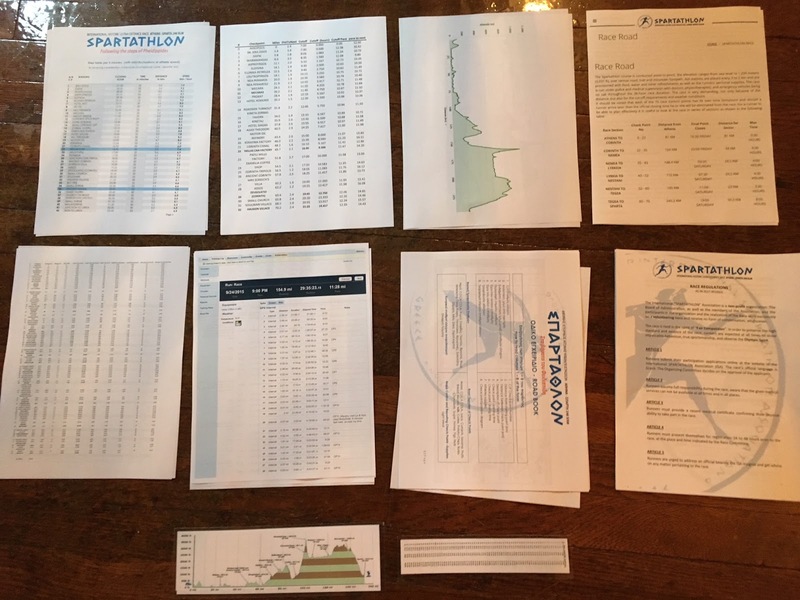 These are the sorts of things I have been thinking about when it comes to Spartathlon. This is a race that requires the runner to maintain a relatively fast pace for the first 100 kilometers just to make the cutoffs. Only then do those cut-offs relax a bit....but still not a lot. If I am to be successful, I will have to run, and run a lot. This will not be course where I can choose to walk a couple miles just to relax a bit. I will need to keep running and moving at all times. It's this thought that has me rightfully nervous. 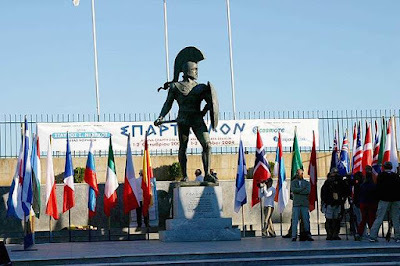 For those of you not familiar with the event, The Spartathlon course covers 153 miles from the Acropolis in Athens, to the Statue of King Leonidas in Sparta. 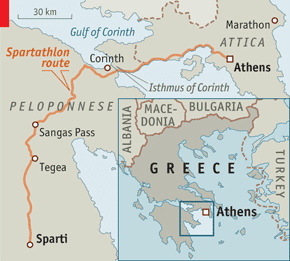 The route is such that it covers what is believed to be the original route of Pheidippides as he made his way from Athens to Sparta over two days. The first ~60 miles of the course are generally fairly flat allowing for good running, but the 2nd half of the course features some hefty climbs. This course would be a difficult one no matter the situation. What makes it have a yearly finish rate of less than 50% however, is that the entire course must be covered in 36 hours or less. To put that into perspective, I just completed the Hardrock 100 in 40 hours (A race that is 53 miles shorter, yet it took me 4 hours longer than I will get for Spartathlon). 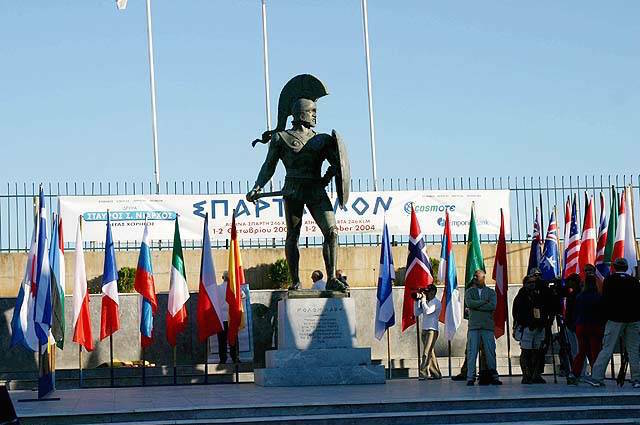 For Greece, the Spartathlon is a very important event. Thousands of people line the streets to cheer for runners and there's a lot of interaction. This is a big day and event for the locals. I imagine it's much like running the Boston Marathon....only on a National level. I am quite excited to experience this. Much like with Badwater, when I applied to Spartathlon, I honestly wasn't really thinking I'd be invited. So when I got the invitation, it was a BIG reality check. One of my friends calls this type of invitation an "Oh crud, I got in!" invitation. It's definitely an "Oh boy" type moment, especially considering all of the history for a race like Spartathlon, and that fact then when you are invited to run, you are running as a member of the US National Team. This is all very humbling indeed. If you look at the cut-offs, they don't seem too extreme, but when you consider that you never really get a break, that's when reality starts to set in. For example, the cut-off for 50 miles, is approximately 9hrs 30mins. For a relatively flat road race, this is reasonable. I have run several 50 mile or 100k races where I've reached the 50 mile mark in sub-8 hrs. BUT....those were shorter races. 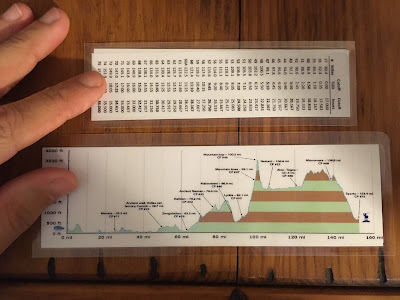 When I go back and look at some of my faster 100 milers, the idea of making this sort of cut-off at a 153-mile race becomes a little more daunting. This is why I've recently focused a lot of my training on pacing practice. It is very hard for me to run early miles at an ultra, in preparation for how I might feel at mile 100. BUT, it is necessary to do this. Run fast enough to allow for a reasonable finish, but slow enough so as to conserve energy and avoid too fast of a "slow-down". Over the entire Spartathlon course (153 miles), the average pace that must have been met is roughly 14min / mile. This is almost a walkable pace. Again though, this is over the entire race, including the late stage climbs and all aid station breaks. 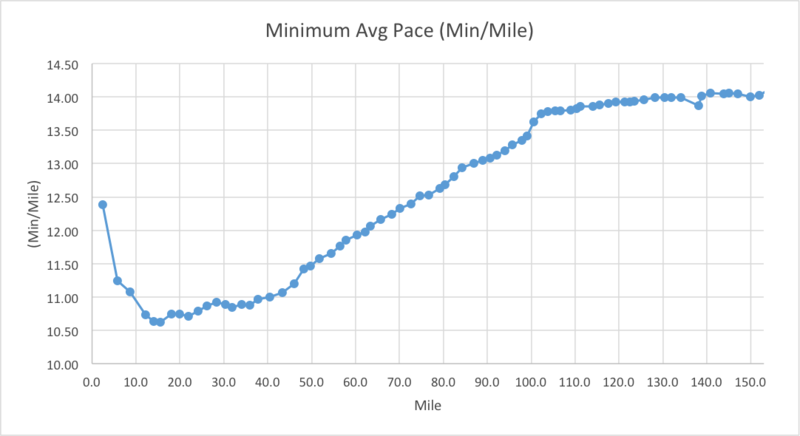 If you look at the pace charts below, you can see that over the first 50 miles, a runner must essentially average sub 11min/mile pace. Again...doable, but pretty darn tough for a mid-packer like myself. With all this said though, I like to think I've done my homework. I've spent hours going through aid station cut-off times and formulating a strategy that will give me the best chance at a finish. And let me be clear here....my goal is absolutely JUST TO FINISH. I will have 36 hours to cover 153 miles. If I reach the finish line in 35:39...well I'll be damn pleased. Even though I knew I'd have Hardrock this year, I still tried to focus a lot of my running training on my eventual Spartathlon race. 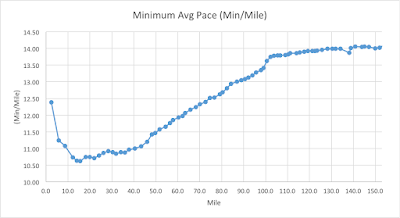 Back in late April, after my horrible outing at the Boston Marathon, I took my training to the Lake Waramaug 100k road race with a very specific pacing plan to run a sub 10 hr race. 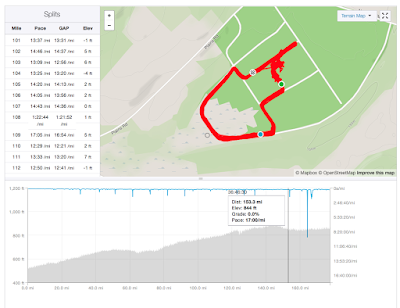 I executed this plan perfectly (Race Report), and came away with a little boost of confidence, knowing I had a sense of how I might pace effectively at Sparty. Still, this was only a 100k event....less than half of what I will face this weekend. 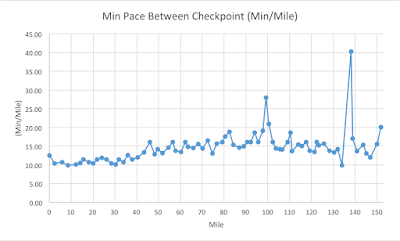 I practiced pacing recently at the "Race for the Ages" (ARFTA), paying particular attention to a strategy of 8/2 (run 8 minutes, walk 2, repeat). I managed to average 12 minute miles even with 2-minute speed walking breaks. On day one I covered 40 miles in sub-10 pace, and day 2, I did several outings of 8/2's (Strava Track 1, Strava Track 2). The entire experience acted as another small confidence booster. Finishing Lake Waramaug 100k in 9hrs 54mins (sub 10). I have been particularly nervous as of late, so I also decided to go back and evaluate some of my faster race results to see just what sort of effort I'm looking at for Spartathlon. Back in January of 2014, I ran the Beast of Burden 100 Mile race in what is still my PR 100-mile time of ~19 hrs 35 mins. (Strava Track). At this race, I reached the 50-mile point in 8 hrs 30 mins. This was a real confidence booster when I saw it knowing even for a full 100-mile race, I could hit 50 in 8:30. If this had been Spartathlon, I would have then had 16 hours to cover the last 53 miles, or basically just over 3 miles / hour speed. This is a walking pace. 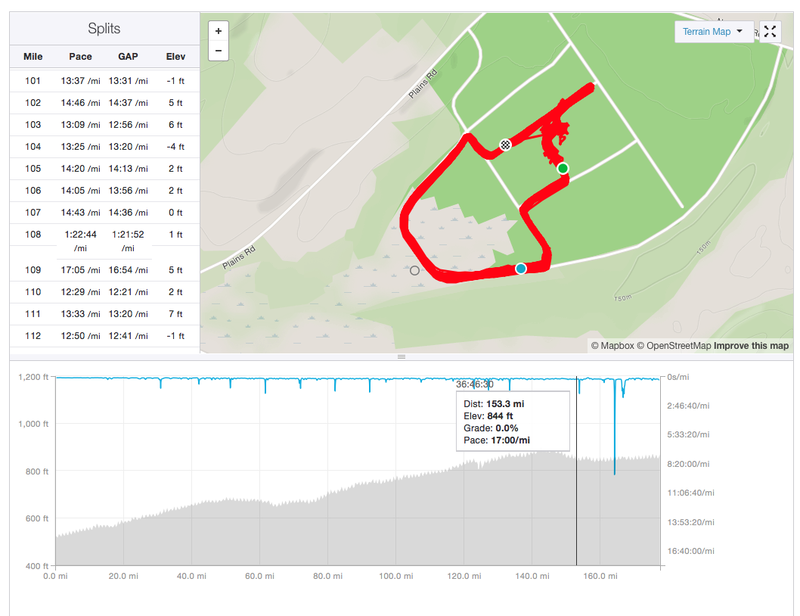 Next I went back to look at my performance at the 2014 NJ One Day-24hr (Strava Track). I went into that race fairly under-trained. Upon inspection, I found that I made the 50-mile mark at that event in 9hrs 20mins. At Spartathlon, that time would put me only 10 minutes ahead of the cut-off. Yikes. Another race that I've had decent success at that might be a good gauge is the Mind-The-Ducks 12hr. I've run this three times at varying levels of fitness. (Strava Track 1, Strava Track 2, Strava Track 3). In my fastest year, I made the 50-mile point in a blistering 7hrs 43mins. This is obviously way faster than I will aiming for at Spartathlon, but it gives me a sense of "effort level". In another year I hit the 50-mile mark right at 8 hours, and even in my slowest year, I hit the mark in 8hrs 50mins. This last pace is much closer to what I'll be aiming for this coming weekend. 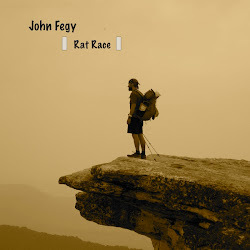 On top of this, there one particular event that I have recorded that I decided to look up as a real test of my ability to cover 153 miles in the necessary 36 hours. Every year I run in the 3 Days at the Fair event in May. Generally, I run the 72-hr event, but I have also done a few other variations there. Back in 2016, I ran my best 72-hr race, finally besting the 250-mile mark and finishing with a grand total of 257 miles in 72 hours. During this particular race, I ran through the first night with no sleep, and hit the 100 mile mark in about 22 total hours. At the 24-hour mark (106 miles), I then slept for about 80 minutes. When I went back at the data, and zoom in on how long it took me to cover 153 miles... I see that it took me just under 37 total hours (Strava Track). This means, that without that 80 minute nap, I would have covered 153 miles in UNDER 36 hours. Now of course this is on a flat course, BUT, that particular year it was also very hot/humid with scattered thunderstorms. When I saw this, it definitely gave me a much needed boost in confidence. While I did PR that year at 3Days, I still ran that first 36 hours knowing it was a 72-hour event. In other words, I probably could have run it faster if it was only 36 hours. In addition, I would not have napped. This is all a little bit of "apples to oranges", but to me it gives me a real an tangible sense of "effort" that is required to make it to that King Leonidas Statue on Saturday. Some not-so-great news: The weather forecast is not looking particularly great. It's going to be a wet year. The forecast is calling for possible rain for the entire event. I'm definitely bringing anti-chafe lube! I certainly prefer cool and rainy over direct-sun hot/humid....but not necessarily for 36-hours straight. A few notes regarding gear. One of the nice things about Spartathlon, is that there are 75 aid stations, one just about every 2 miles. This means I can go extremely minimal. I've opted to, as my friend and fellow Spartathlete Rob Youngren put it, "go native". Rather than bring over all sorts of gels, gummies, and drink powders, I am opting to refuel on the simple food and juices that will offer at the stations. I've been training this way, and it has gone well. In addition, I will only be carrying a very small waist belt with a few small supplies, as well as a single hand-held bottle. I do have some extra clothes I will have in a few drop bags as well as rain and cold weather gear if needed (and a headlamp of course). So....I sit here just a few hours from boarding my flight to Athens, and I'm excitedly-nervous (or is that nervously-excited?). I have never run a race like this, nor have I run as a true representative of a US National Team. This is closest I will ever get to a true Olympic Experience, and I plan to soak it all in as best I can. I suppose for me, Spartathlon represents an event that is so much bigger than myself. Over the years I've participated in just about every type of ultra event that is out there, and in each case I carry with me a collection of thoughts and feelings that motivate me...and drive me to that finish. Some of those motivators are personal goals, stemming from a drive to push myself or simply to experience something new...while some of those motivators are about others, and a goal to run for, or in honor of someone's memory. Spartathlon represents this first time for me that I will truly be running on behalf of my entire country. I will be driven by the thoughts that my participation and my run are not just for, or in honor of a single person, but for all of my fellow country-men and -women (both home and abroad). This is an incredibly humbling feeling and I only hope that I represent and honor both my team and my country well. I look forward to sharing the course with my fellow teammates and with the hundreds of other runners that will also be running for their respective countries. And so I will wrap this post up with a few last-minute photos and finish packing my bag for my flight. Regardless of what happens, I am confident it will be a once-in-a-lifetime experience. Race starts at Friday at 7:00 am Greece Time (Eastern Time + 7hrs, or Friday at Midnight). Thank you to everyone that wished me luck and I will be thinking about you all as I make my way to Sparta following the footsteps of Pheidippides. You are probably sitting on an airplane, but I'll wish you luck anyway.